How do you put puttees on? How heavy is an Enfield rifle? How do you put a Vickers machine gun together? 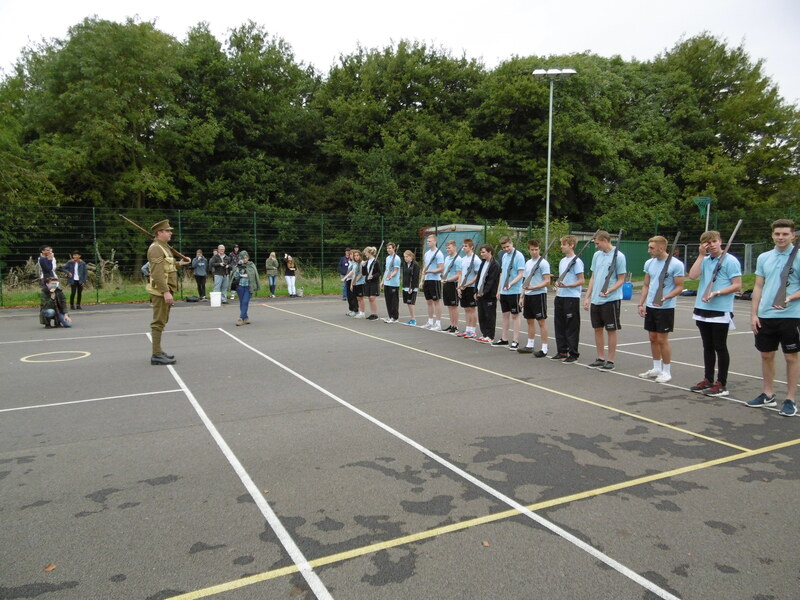 How close were the German trenches to the British soldiers? These are just a few of the questions answered by Gary Baines and Sharon Penfold from the Friends of Shoreham Fort Living History Team. Gary and Sharon arrived at Worthing College on a drizzly Wednesday morning and began decanting an array of original World War One artefacts from their van. 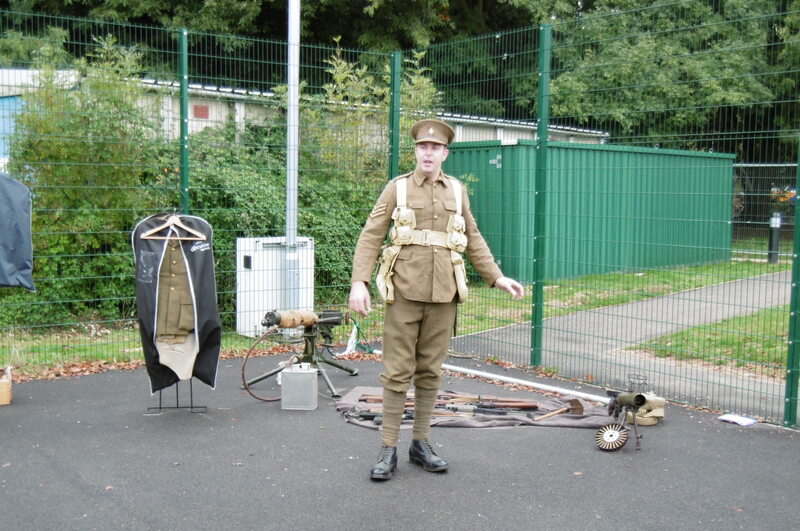 They had everything from a selection of uniforms to an entire original Vickers machine gun. 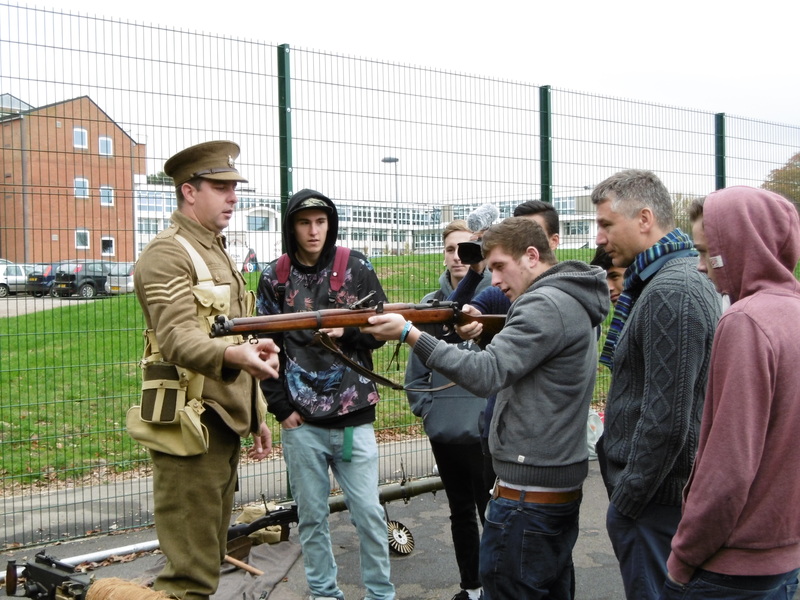 The film and media students were joined by the public service students for an interactive workshop detailing some of the training drills and conditions experienced by British soldiers in the First World War. 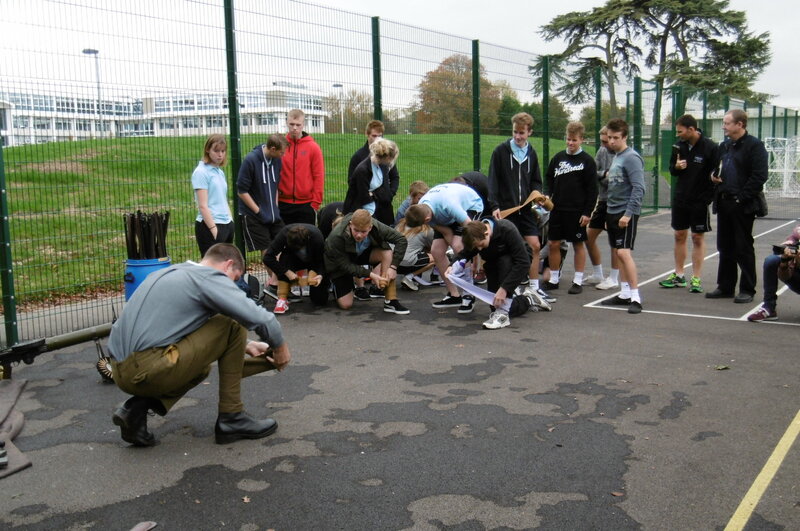 After having a go at putting puttees on correctly the public service students were put through their paces with gun and bayonet drills under the watchful eye of Gary. As they practised the film and media students got up close with the original guns, feeling just how heavy some of these weapons were. On display at the same time were a range of other weapons and personal items that soldiers carried. There was also a poignant symbol of remembrance made during the war itself. A Death, or Dead Man’s, Penny. 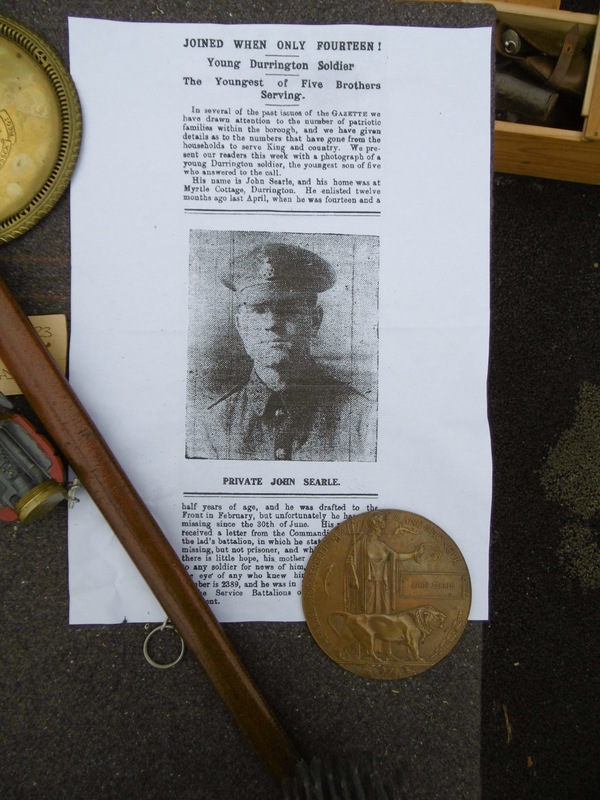 This was issued for John Searle a young man from Sussex who joined the army at the age of 14 and was listed missing in action at the age of 15. This penny would have been given to his family in memory of him and recognition of his service. 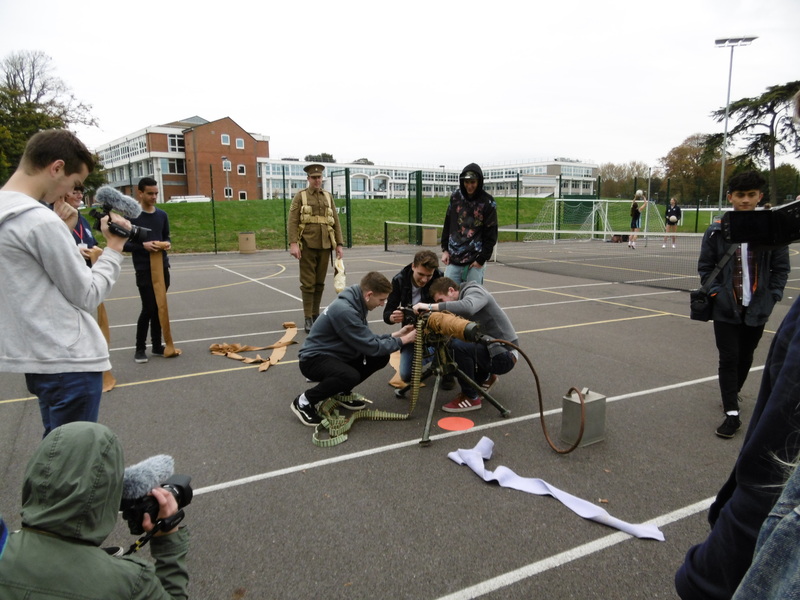 After the public service students’ drill passed inspection, three film and media volunteers were challenged to take apart, run with and reassemble the Vickers machine gun in the College tennis courts. 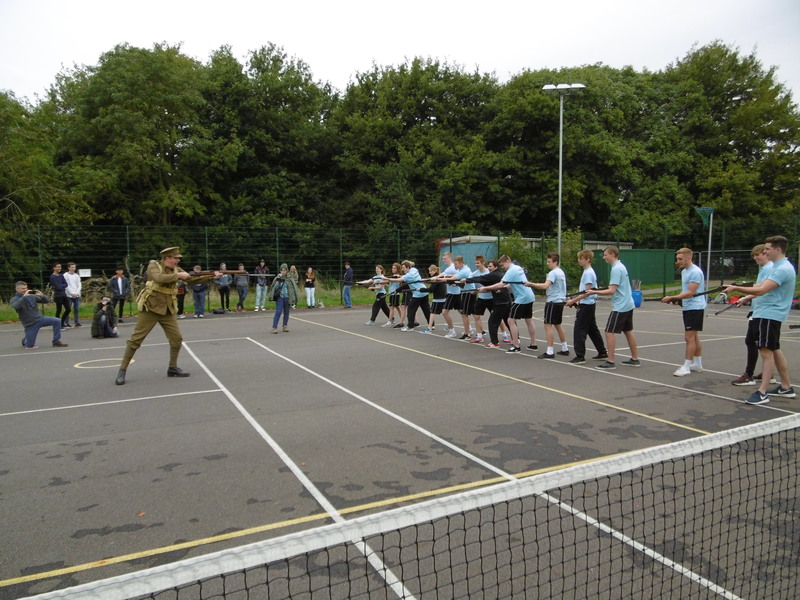 Everyone was then challenged to try and imagine what it was like doing this in mud, barbed wire and under fire. Many thanks to Gary and Sharon, their enthusiasm and knowledge really engaged the students and gave them a unique hands-on experience.